I source inspiration for handbag designs in elements of nature, facets of architecture, via meditation, and in my ongoing studies of fashion and designers. The designers I admire most are those who were true to themselves while simultaneously creating historically influential and timeless pieces. Of my five favorites, all have stood against the status quo and the established gender roles of their time to create fashion that continues to impact clothing and accessories to this day. 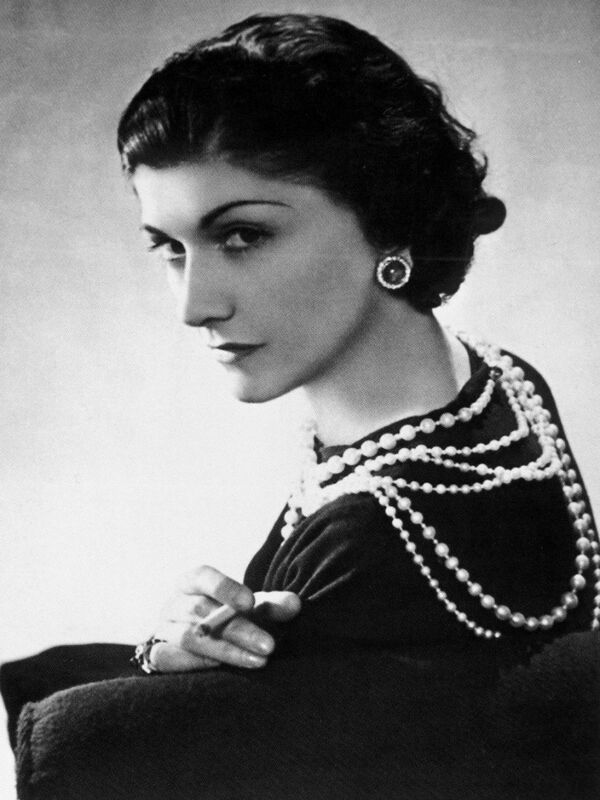 Coco Chanel’s courageous spirit was demonstrated with her introduction of a practical silhouette that gave women far more freedom and comfort than the traditional Victorian-era, tight-waisted dresses which required corsets. Chanel is also known for her adaptation of men's clothing, namely the cardigan and shirt, which became a mainstay of women's dress toward the end of World War I when supplies were limited. Similar to Coco Chanel, Madeline Vionnet believed women could be elegant while comfortable. In the 1920’s Vionnet forever changed the way clothing draped on the female body with her bias-cut* gowns. Also, thanks to Vionnet, along with the new innovations in undergarments, the world was introduced to clothing that was soft, feminine and celebratory of a woman’s curves while also being enjoyable and easy to wear. * The "bias-cut" is a technique used by designers for cutting clothing on a 45 degree angle of warp and weft, which utilizes the greater stretch in the bias or diagonal direction of the fabric, and consequently, causes fabric to drape in such a way that softly accentuates the body’s lines and curves. The 1930s were neither the time to thumb your nose at fashion nor the era to be a woman with your own design house but apparently no one informed Elsa Schiaparelli of this. Schiaparelli’s fashions were rooted in the need for the wearer to feel sophisticated, through inspirations drawn from modern Surrealist artists, a deep need to be authentic and a desire to provide real fashion to the general public. I particularly love her “shoe” hat! Known for inventing the wrap dress that flattered all body types, Diane Von Furstenberg was a 1970s fashion pioneer who continues to reinvent herself decade after decade. Von Furstenberg is known for her smart, sophisticated, and on-the-go fashions which both endure the test of time and evolve seamlessly with it. A rebel against fashion norms in her early years, Vivienne Westwood initially developed an anti-fashion style, the Punk movement (aka Do It Yourself dressing) along with her then husband, Malcolm McLauren. As her design sense matured, she maintained her signature style of rebelling against the norm while simultaneously adding a sophisticated air that appealed to the upper classes. She evolved into a couture designer. In an interesting twist of events, her rebel style provided the crowning achievement of her lifetime - being made "Dame" by Queen Elizabeth - decades after designing risqué and mocking t-shirts of the monarch.